Not my blogiversary (that’s in a few days! )…but my wedding anniversary! Mr. Prevention and I vowed our love forever and ever to one another one year ago today. Hard to believe, it’s been one wonderful, busy, exciting year. 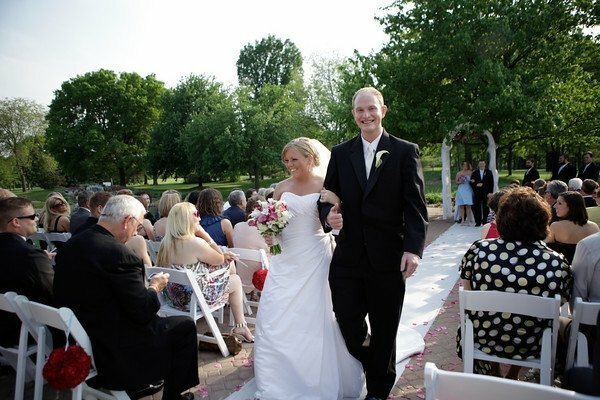 May 23, 2009 was a beautiful, sunny 72º in Chicago and our wedding day went off without a hitch (no lie!). We took the train into the city for pictures, rode around on a city bus, ate hot dogs in Millennium Park, and took trolleys to McDonald’s after the reception…we wanted it to be a fun day for all! Our ceremony was outdoors and my maid of honor’s brother played the keyboard and guitar and my childhood friend sang I’m Yours by Jason Mraz. Everyone loved it! We served fun finger appetizers and had a formal sit-down meal and champagne toast. In addition to dancing and drinking, we had a candy buffet to feast upon and a photobooth for guests to take photos in. What a blast! Doesn’t the top layer of that cake look delicious? 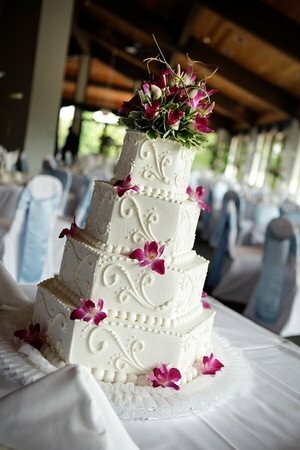 Question: What makes a wedding special to you? 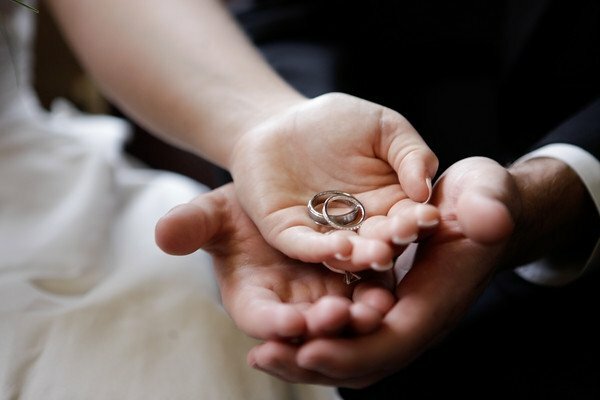 If you had your preference, what month of the year would you get married in and why? P.S. 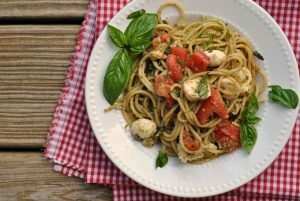 If you missed last week’s post about the anniversary dinner I made Mr. Prevention and I, be sure to check it out! MAJOR YUM! Happy Anniversary Nicole!!!! Our cake was so gross one year out of the freezer. I don’t think the venue that we had our reception at properly wrapped up the cake to be fozen as they said they had. Mr. Famished and I both took one bite and that was all. Though I have to say the cake was very good at the wedding. I hope you have a fantastic day with your guy! Here is to a great 2nd year of marraige. Happy Anniversary!!!! I just posted about OUR wedding too!!! Must have been a great weekend for weddings last year 😉 Yours looks so beautiful! Happy anniversary! It’s a very good sign that your wedding went off without a hitch AND that the first year has flown by. I think time flying by is a good sign of a healthy partnership. 11 years have flown by for us! We got married back East in the Fall, and it was pretty perfect. @Mo – I was with my husband for 5 years before we got married and didn’t even realize that I really wanted to BE married until newer couples started to get married before us. I almost did a quickie elopement, but I’m so glad we didn’t b/c I would have really missed out on feeling all the joy and happiness from our guests. It was probably my most favorite day of my life. Your wedding pictures are gorgeous! I got married in July but WANTED to get married in September – sadly we couldn’t guarantee the chapel we wanted in September – so July it was for us! A Candy bar! I’ll have to bring that up to my fiance! Happy Anniversary! Your photos are absolutely breathtaking with the Chicago backdrop. I would have to say I would want to get married in September. I think I would like an outdoor wedding and September has the perfect temperature (usually) in the mid-west! Nicole, congrats!! Your wedding pictures are so beautiful. You guys look gorgeous. I’d want to get married in the spring because that’s my favorite season, if not the summer. Seriously, absolutely beautiful! Happy Anniversary!! 🙂 You were a gorgeous bride!! How fun! My wedding was in July and I absolutely love summer weddings… I don’t know what makes a wedding special, I guess if it’s a wedding for someone you really care about… mine–at least for me–of course was! My husband and I fell when we were dancing, so that was a fun story everyone still talks about–I guess it made the wedding special! Happy Anniversary, you look so happy in those pictures! My first wedding was the big fairytale and ended not like that at all. This time we ran away to Vegas without anyone else and it was delightful 😛 I got married in August both times but it was too hot, spring sounds better, but there won’t be a third! Congrats!! Great wedding photos too! It looks like it was a fabulous day :-). Those pictures are SO gorgeous! Happy anniversary! Happy Anniversary! I love your wedding pictures. happy anniversary to you! beautiful photos! Happy Anniversary. All the pictures are nice but I really dig the first black and white one… Very cool. Cheers and may your marriage continue to be blessed! Happy Anniversary! Loved the wedding pics, so thank you for sharing. You looked beautiful and so happy. Glad you at least gave the cake a shot. My mom super wrapped ours and it lasted. I think May is the best wedding month! Happy Anniversary!! Today is mine & John’s – great minds think alike ;). Happy Anniversary! The pictures from your wedding are beautiful! My husband and I got married in July 2009 and it was the most incredible day. We kept it (relatively) small with only family and close friends and sort of casual. It was the best decision we ever made. 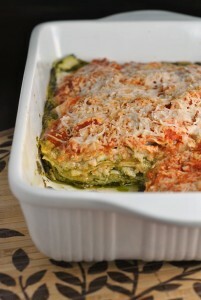 To me, family and good food is the basis of any good event and it holds true with weddings too. And I love the idea of a photo booth–might have to keep that in midn! What gorgeous pictures!! Happy anniversary! I’m a HUGE music person, so the music really means a lot to me at a wedding! And if I could choose a month to get married in…..maybe September? Congrats on 1 year- your pictures are beautiful! My hubbie and I just celebrated our one year a couple weeks ago… amazing how time flies, huh? Happy Anniversary!! I love all your pics 🙂 and it was a quite perfect day one year ago. Glad you had a nice weekend. What a pretty wedding day! I loved getting married in August because here in Washington it’s the only month you can kind of rely on for warm summer days. Eventhough it did sprinkle a few hours before our outdoor ceremony! Happy Anniversary. You looked gorgeous on your wedding day. So, so beautiful! Nicole I love this blog post!! Happy anniversary to you both. I love seeing inside the personal lives of my blog pals. You were such a beautiful bride. 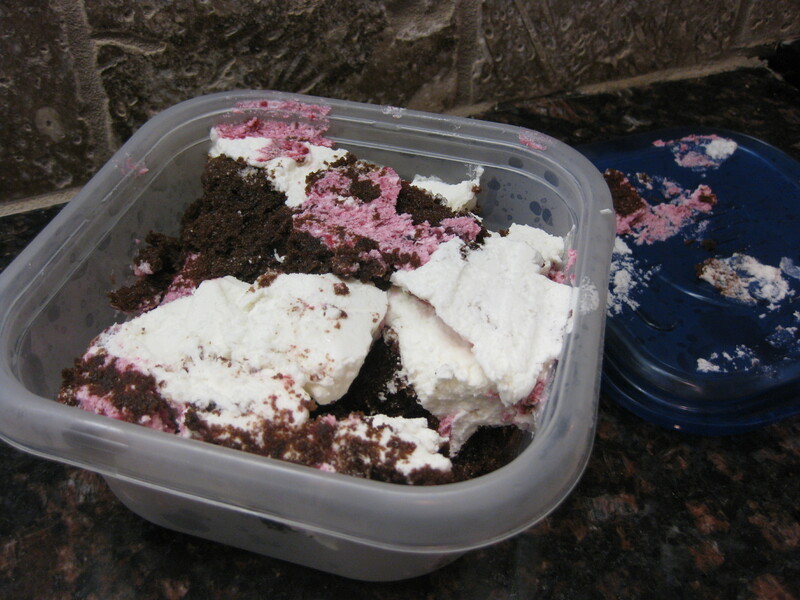 That cake was gorgeous…..I remember pigging out on ours even though it had been in the freezer for a year. Happy Anniversary!! Nicole – love the pictures – you are absolutely beautiful!! 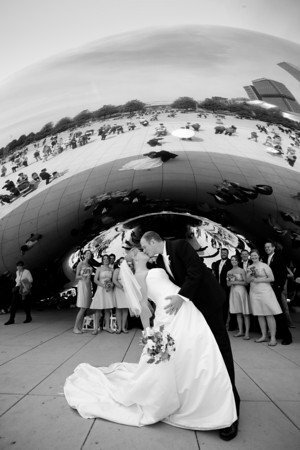 My favorite is the “dip” kiss in front of the Bean – love it! When I got married it was my daughter as my bridesmaid, my step-son was our best man, my mom attended and Tony’s parents – that was it. On the beach in Naples, and while the kids stayed with my in-laws, Tony and I honeymooned in Key West. Small, personal, quaint – and cheap! Including airfare (almost 10 years ago!) I think our week and a half cost $2,000? And I bought my wedding dress for $19 at Filene’s basement in Chicago! I love the pictures, you look so gorgeous, and happy in all of them. Congrats to you + Mr. P! Happy anniversary! Looks like a fun and beautiful wedding. I just watched again my brother’s wedding as they got their video back recently. Things that make weddings for me are good speeches. CONGRATS TO BOTH OF YOU!! And once again, I LOVE your wedding pictures. They are some of the best I’ve seen. I’m stealing your photographer for my own wedding 🙂 And that cake is gorgeous. That’s probably going to be the most important part of Nick and my wedding! haha, I think about it already! I am biased toward June weddings, because I had a June wedding! I am not sure what I find special about weddings, but they inevitably make me cry (even tv weddings). I always thought I wanted to get married in the fall because that’s my favorite time of year with cooler not cold weather. My April wedding two years ago, however, was the perfect time of year. The temp was perfect and no rain. It was beautiful! I just LOVE LOVE LOVE the Chicago photos! Especially the one of you leaning back under the Bean. I love seeing all the wedding parties in Chicago on the weekends (when I go downtown). What a photogenic city!